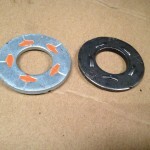 Sometimes called load indicator washers or DTI washers, ASTM F959 washers are used to help determine when a structural bolt connection is installed to the correct tension. Traditional DTI washers employ a feeler gauge to measure the compression of raised nibs on the washer as the nut is tightened. 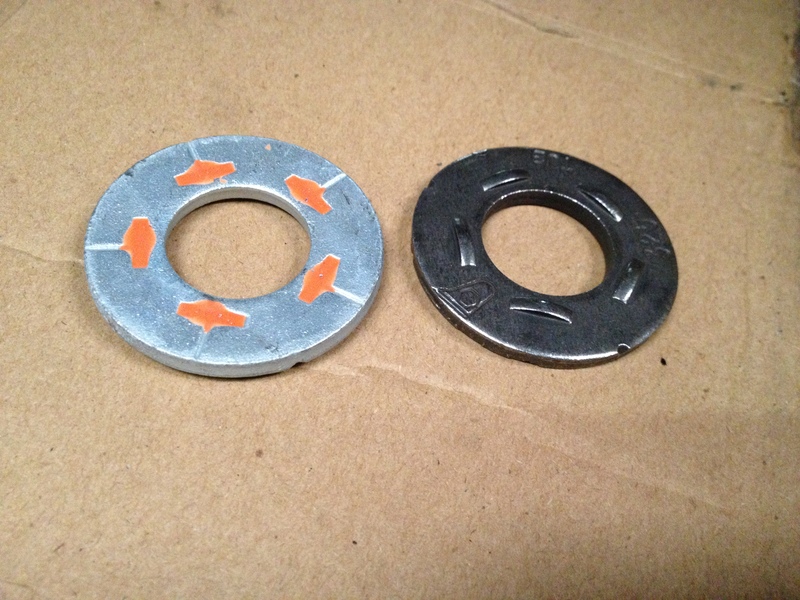 The newer “Squirter” washer does away with the feeler gauge, using highly visible orange gel that squirts out when the correct tension has been reached. 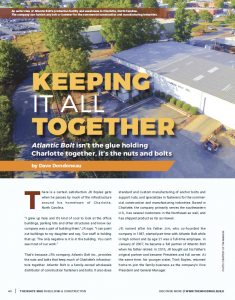 Atlantic Bolt carries many sizes and types of load indicator or tension indicator washers, including the squirter washer.